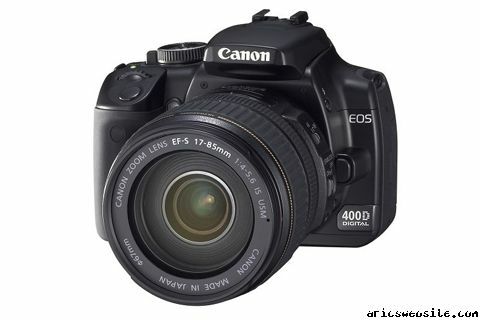 UPDATE September,182006: Click here for latest Canon 40D and Canon 7D rumors! Looks like the leaks are trickling in.. Canon should announce a few new bodies by the time you read this (August 24, 2006 Thursday @ Photokina). .Scheduled for mid-September 2006 release in the U.S. at an estimated price of $799, or $899 with a kit with the EF-S 18-55mm f/3.5-5.6 II lens. .10.1 megapixels CMOS sensor (3888×2592). Noise and dynamic range claimed to be near identical to the Rebel XT despite the higher pixel count. .Face sensor under viewfinder will detect when the camera is brought up to the face and will turn off the LCD screen to conserve power and avoid visual interference when composing the shot. .3 point dust removal system consisting of a) dust removal via ultrasound vibration; b) dust cloning via software (DPP 2.2 software); c) traditional physical dust removal via sensor cleaning. Additionally, the shutter blades have been redesigned to minimize the number of particles they cast off in operation. There is also a new body cap which is less prone to produce plastic shavings. 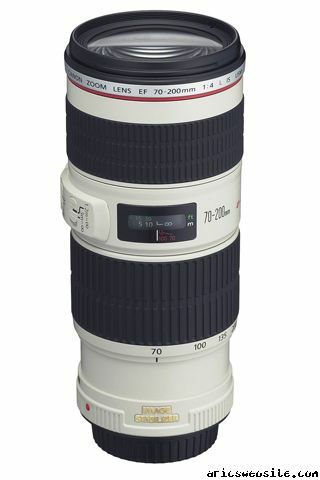 Something else that is also interesting is that there is also a “leaked” picture of a Canon EF 70-200mm F/4L IS.. if this is true, I’m guessing it’ll come in around $900-1,000.. maybe $800-900.. which is cool.. because this would’ve been my perfect lens a few months ago.. hell, maybe even 2 days ago (considering I bought a Canon EF 70-200mm f/2.8L IS 2 days ago from B&H :???:).. There’s also a Canon EF 50mm f/1.2L USM that is floating around.. oh, and a Canon EOS 7D that is supposed to be 10.1 megapixels.. but I havent seen pics of the Canon EOS 7D and I’m not all that interested in the Canon EF 50mm f/1.2L myself.. in any case, I’ll add more as I find it..
UPDATE 01:35AM: Looks like the leaks/rumors are true.. the Canon EOS 400D (or Digital Rebel XTi) was briefly posted on Canon’s China site and I have also learned that it was already announced in Europe.. so the US will probably hear about it in a few hours.. still waiting for more info on the Canon EOS 7D and/or the “legendary” successor to the 1Ds or 1D (probably the 1DS since the 1D was updated about a year ago.. Canon EOS 1Ds Mark III.. has a nice ring to it, eh? )..